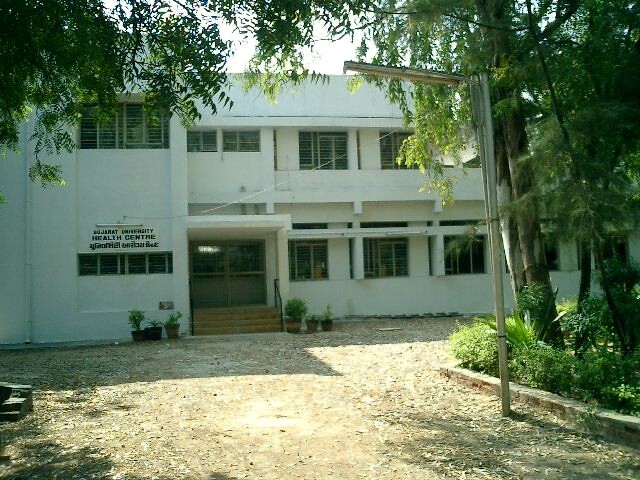 Gujarat University,Navarangpura, Ahmedabad : 380 009. (i) Blind & handicapped persons including students. (ii) Staff of Hostel Mess including Diamond Jubilee Hostels. (iii) Retired pensioners of Gujarat University. (iv) Police & S.R.P. Jawans while performing their duties on the campus. Teachers while attending refresher and orientation course. Evening 4-00 p.m. to 5-45 p.m.
Saturday : Morning 8-30 a.m. to 12-45 p.m.
Well equipped Computerized laboratory, X-Ray machine, E.C.G. Machine, Physiotherapy equipments & Autorefractometer for eye refraction. (c) Stool for Ova & cyst. (d) Stool for occult blood. Students get free services including treatment and investigations. 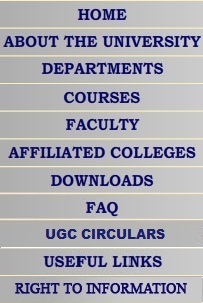 Case registration fees 0.50 Paise per day or Rs. 6-00 per term or Rs. 10-00 per year. Different lectures are arranged and medical check-up for different age group are held off and on. Medical Check up of all FirstYear Students getting admission in affiliated colleges is carried out since last three years and necessary follow-up work is also carried out by advising the needy students to contact University Health Centre or Government Primary Health Centre nearest their residence. Iron capsules are supplied free of cost to those students whose hemogloben is 10% or less.